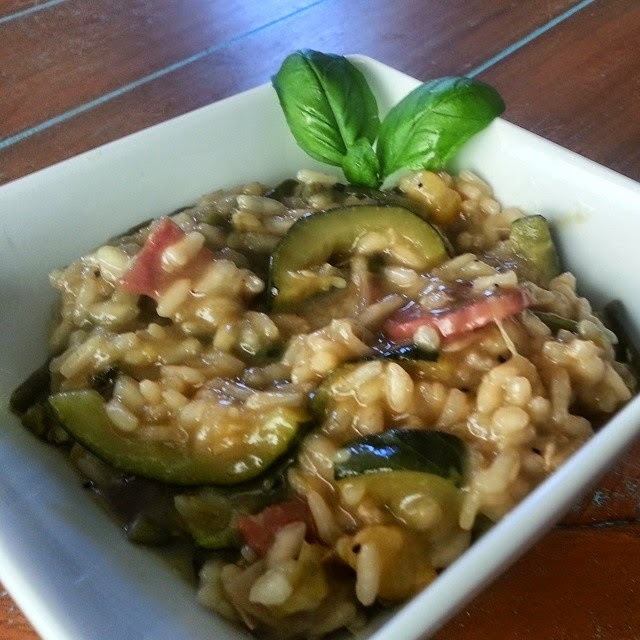 Oh-Zoat Oh-Zoat, aka Risotto- gluten and optional dairy free! Girlfriend loves her some "oh-zoat oh-zoat". If you have not had risotto, you are missing out. It's Italy's delicious version of a rice dish which means gluten free for all you pasta lovers who can no longer enjoy pasta! Though it looks creamy, the base is just white wine and chicken stock. Bonus points if you use your homemade chicken stock since it's one of the healthiest things on the planet to eat. Here's my go-to risotto base recipe. It is, of course, Michael Symon. He uses vegetable stock since he was making a vegetarian dish, but I use chicken stock. And I typically only need half the amount he says to use. I also add meat because I'm married to a Serbian who needs meat at every meal. 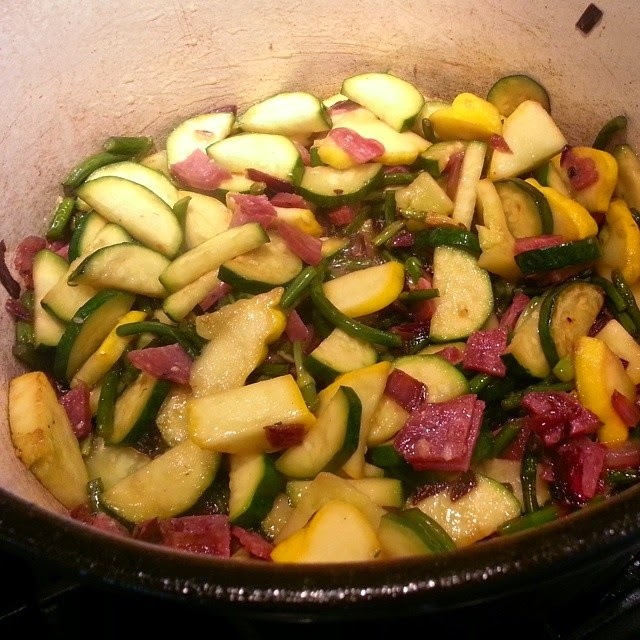 This time, I used zucchini and summer squash and a bunch of garlic scapes (it was clean veggie drawer dump day) and I didn't have tomatoes so I used salami. why not. I threw in the onions first, then the rest of the veggies, then the salami, and then the rice. but I followed the directions for the most part after that. PS- the parmesan at the end is optional if you are dairy free.